On December 19, 2017, the New York Times published an article called “Deliverance From 27,000 Feet” by John Branch. It is excellent. I am glad to have contributed information and images that I hope will provide some sense of clarity and closure for the families of the fallen. Comments on the story have fallen into two main groups: Some readers are saddened by the senseless loss of life chronicled in the article, but they respect the ambition that drove those who died. Such readers may find this blog illuminating and informative. Others are mystified that anyone would attempt to climb Everest in the first place. These readers will likely gain nothing from reading my accounts here—if you are not curious why we pursue these useless endeavors, or if you need to ask why, you will probably never understand. But a small subset of readers seem confused about the facts of the summit attempt, and in this post I seek to help them separate fact from imagination. “….While the focus is on Ghosh, Nath, Paul and Hazra, I thought the three other climbers ancillary to the story — the Americans, Dr. Pottinger and Dr. (sic) Pollard; and the Englishman, Leslie Binns — were more compelling. Only Mr. Binns intervened and saved the life of Ms. Hazra, aborting his Everest ascent. The two American doctors didn’t. Branch does a masterful job conveying the humanity of the four Indian climbers and narrating the tragic events. I got a good sense of who they were, why they climbed Everest and how they failed. And also what they left behind. But how do two — likely prosperous and successful — doctors (sic) witness unfolding distress and death and move on without helping? And why did Mr. Binns (not identified as a doctor) sacrifice his chance at Everest to save another climber? I am not angered by such comments, because they are borne from misunderstandings of the timeline and a lack of comprehension of what happens to climbers above 8000 meters. Details of my experiences that day are on public record on this blog. The most relevant posts are http://pottinger.net/osm/2017/05/top-planet-earth/ and http://pottinger.net/osm/2017/06/down/. Recognizing that some will prefer not to read the entire posts, I will distill the relevant facts here. In summary, I left Camp 4 for the summit with guide Pasang Kami Sherpa at 9:20 PM on May 20, 2016, more than an hour after the West Bengal team had departed. I passed climbers Subhas Paul, Goutam Ghosh, Paresh Nath, Sunita Hazra, and their guides both on my way up and again on my way down—when Paul, Ghosh, and Hazra were still headed towards the top. I was concerned that they were ascending late, after 10:00 AM below the South Summit, but it was not my place to talk with them about this. The same is true for the scores of other climbers who passed them twice that day. To my knowledge, none pulled them aside for a chat. This is simply not done when strangers appear to be in good condition. These were people whom I did not know, who were clearly supported by professional guides, and who at that time were making slow but upward progress. I encountered them on an exposed position on the Southeast Ridge, above 28,000 feet, exhausted on my way back to Camp 4. Even if I had tried to communicate with them, we would have had to talk through our masks, and we did not even speak the same first language. Furthermore, based on the NYT article, we are told that their own guides had pleaded with them to turn around, and that those pleas went unheeded. My skills as a physician were useless at that time—these climbers needed to turn around and go down, under their own power. This footage has already been shared with the families of the fallen, thanks to Nilanjan Patra. Mr. Nath had already made that decision, but unfortunately he was not assisted down adequately by his guides. I do not recall meeting him on the lines that day, but based on the timeline provided I suspect that we probably crossed paths at or just below the Balcony circa 11:30 AM. If there had been any indication that he was in trouble, or if he or his guides had asked for help, our team and others would have assisted. That is the IMG way, and the reason I have chosen to climb with IMG all along. By the time I made it back to Camp 4, exhausted, there was no indication of the calamity unfolding above. But, to be clear, if we had known, there was no way I or anyone else there that day—Western climbers or Sherpa guides—could have mounted a repeat climb of Everest to help bring them down. The effort is simply impossible. That night, a remarkable man called Les Binns left Camp 4 for the summit while everyone from our team—and the West Bengal team’s guides themselves—slept in our tents, recovering from the biggest day of our lives. Mr. Binns came across two of the climbers, Sunita Hazra and Subhas Paul, on the Triangular Face below the Balcony. He made a decision to abandon his plans and try to save these individuals, who were total strangers to him. 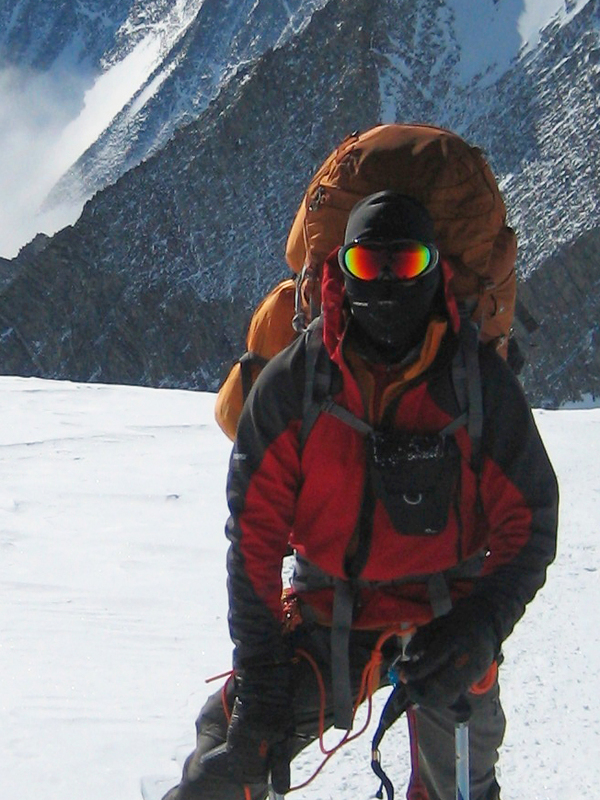 He is a hero, and his actions embody the ethos that all good mountaineers aspire to. I have never met Les, but I admire him greatly. If the roles had been reversed, and I had come across them that night, I hope that I would have done the same thing. Unfortunately, he and his Sherpa guide were unable to bring both climbers back to Camp 4. Subhas Paul became separated from them on the descent. I was awakened before dawn the next morning of May 22 by shouting in Hindi, a language I do not speak, from somewhere within camp. I assumed this was a guide calling out to a delayed climber. In fact, when the sun rose, we were horrified to see that the calls were coming from an ice cliff just beyond camp: This was Subhas Paul, calling out to his guides for assistance. They did not repond, but volunteers from our expedition and other strangers climbed the face, resuscitated him, dragged him back to his tent, rendered medical aid, and exhorted his guides to extricate him. Tragically, he died on the way down. Some readers are angered that Thom Pollard and his guide passed Hazra and Ghosh on their way to the summit on the night of May 21, 2016. Although I have not met Thom, and he is entitled to respond for himself if he chooses, I will offer this insight: I strongly, strongly suspect that he and his guide believed that their assistance was not required. I strongly, strongly suspect that their impression was that one climber was dead, and the others were making their way down the distance remaining to Camp 4. This may sound strange in light of what happened some time later, when Les Binns and his guide stepped in and saved Hazra after she was abandoned by her guides, but when Pollard and his guide met them earlier, there was almost certainly a misunderstanding between the teams, who spoke different languages. Pollard is not a physician, as “Yuri Asian” states, but that is irrelevant—he is a mountaineer who undoubtedly embodies the mountaineering ethos of rendering assistance when appropriate. I would also emphasize that they were not the only ones to encounter the descending team that day; rather, they are the only ones who have been willing to discuss this matter publicly, in hopes of providing closure for the families of the dead, and to honor those who gave up their dreams to render aid. Regarding the central topic of this article, the effort to bring the bodies of the fallen home: I believe this was a mistake. My family and I would never mount a recovery expedition if I had died that day. We discussed it before I left. My philosophy: The only thing worse than dying on Everest is getting someone else killed on Everest. And, if I had died and photos of my body were taken up there, my family would support their publication if it helped convince others not to attempt the mountain without proper preparation, resources, and respect for the expertise of qualified guides. The issue of photographing the fallen has been written about thoughtfully in the NYT. In the case of the fallen Indian climbers, there is the compounded outrage that the expense of recovery efforts could have made a difference in the lives of their families, if only it had been spent differently. In spite of my disagreement with the practice of recovering bodies from up high, I do see the humanity behind it, I recognize the cultural and economic complexity of the situation, I admire the courage of the recovery teams, and I respect the perseverance of those who resolved to tell the tale, so that others may learn from it. These are the tragic facts: A team of well-intentioned people from modest means dedicated themselves to a grand goal. Yes, they made mistakes. In retrospect, they were underprepared, poorly supported, and failed to exercise their best judgment or to heed the warnings of their guides, who were unable to bring their clients home. Three paid the ultimate price, shattering their families. One barely survived, by dint of her own toughness and with the assistance of total strangers who sacrificed their dreams selflessly. In doing so, and in the subsequent body recovery operations, these climbers put others’ lives in jeopardy, including their own guides. And yet, those of us who were there that day remain heartbroken, not angry. “Indifferent to another climber desperate for help?” Everyone I met on the expedition feels precisely the opposite. Mountaineering is the ultimate team pursuit, and above 8000 meters everyone should be on the same team. We have asked ourselves over and again whether we could have done something different, or something more. I am certain that the answer is no… but, I remain heartbroken. As a climber, a physician, a husband, a father, and an empathetic person, I am devastated. These were strangers, but they were human beings—eloquently illuminated by Mr. Branch’s article. Where do we go from here? Where are the concluding blog entries from the 2015 and 2016 expeditions? Kim Hess I are writing a book about our experiences, which we hope will provide closure and offer more detailed insight into the reasons why we climbed, and the way we did it. Proceeds will support efforts to improve healthcare in the Khumbu. For me, writing is also therapeutic, an important part of PTSD recovery. To honor the fallen—those chronicled here and the others who died during these expeditions—we hope you will join us once the book is published. I cry for those who lost their lives, I cry for the caring and amazing person I know Paul Pottinger to be and for telling the story to help others now and in the future. I found your blog after reading the article. I’m no mountain climber or even close, but I really enjoy reading about your adventures and aspire to your discipline and courage. You seem like a compassionate and empathetic person, and it seems clear to me that the tragedy that unfolded couldn’t have been prevented by you or anyone else. It’s such a horrible situation and those mountaineers knew the risks they were taking. I look forward to reading your book and wish you the best of luck in recovering mentally. Thank you so much Annie for your insights and kind words. Nice job responding to the NY Times article. I am confounded by the way some interpret the writing and miss the perspective and lessons you point out. Mountaineering is not like hiking in a National Park; no rangers tell you when to start or stop, to clean up after yourself, or whisk you off to a nearby hospital after injury. Those who have not been in extreme conditions may not appreciate the extraordinary reliance on personal responsibility and judgment needed in these conditions, even with a professional guide. Best to you and your family. Josh! So great to hear from you. Thanks very much for your kind words…. Eager to reconnect with you & other friends there. Hi Paul. Great blog,how’s the book coming along. Looking forward to reading it. Thank you so much Darren. This is great to hear. Hope to have this published in early 2019… please stay tuned for updates, and thank you again for your kind interest! Hi Paul. Thank you so much for sharing your breathtaking accounts from Everest. Taking in your words and unique images is totally absorbing and educational. After reading your narrative anyone with a crumb of insight should see how you are a man of honour, empathy, courage and respect. I think your book is going to be absolutely incredible. All the best to you. Andy, thanks so much for your kind thoughts and words. Hi Dr. Pottinger, found your blog after reading the NYT piece, and just in general being obsessed with Everest and googling incessantly to read more about it. I’ve enjoyed your blog and especially your video of the Khumbu icefall. I have read so much about it and saw some pictures, but your video gave me a much better understanding of the terrain. So thanks for that. Congratulations on your summit. Just out of curiosity, you mentioned that while you were resting on the Balcony on the way back down, you knew Rob Hall’s body was in the area, but you didn’t go and look for him. Can you elaborate on how you knew he was in the area, and why you thought you could look but didn’t? *Sorry, I meant on the way up, and the South Summit, not the Balcony. Thanks Alexis, I appreciate your interest. I admire Rob Hall greatly and did not want to see him that way, that’s all. As it happens, his remains may have moved down the mountain during the 2015 quake, but I did not want to find out. Thanks for the response. I understand about Rob Hall. Does anyone have any idea how deep the deepest crevasses are in the icefall? I understand they move around, but are the greatest depths largely unknown, or is there any understanding of how far down they can go? Sorry to bombard you with questions, but you seem to be a great resource for the curious. Thanks. No one knows how deep they go… at least I do not… my suspicion is 300-600 feet but that is just a guess. This is a question we do not want to be able to answer, if you follow me! And one final question, I swear…I’ve seen many pictures from the summit, but I’ve been endlessly curious about what the summit floor that you are standing on actually looks like. I’ve heard that it’s about the size of a table top. Is that correct? Do you have any pictures of the summit pointing downward so I can get an idea of the width and depth where climbers stand? Do any pics of the summit without climbers atop exist? The summit area is about 20 x 30, but slopes down gently to the West… There’s plenty of room up there.